Based in the Jesuit tradition, the Ignatian, silent retreat offers an opportunity to find a more profound and personal relationship with God. Bellarmine offers many weekend retreats in addition to midweek, single-overnight, daylong and evening retreats. A Retreat Master facilitates the retreat and prepares thematic talks rooted in the Spiritual Exercises of St. Ignatius. The retreat is a time for quiet prayer in the beauty of 80 acres of gently rolling meadows and wooded countryside set outside the grind of daily life. The retreat offers a unique time away with opportunities for confession, Eucharistic adoration, Mass, consultation with a spiritual director, the rosary, and Stations of the Cross. Based in the Jesuit tradition, a daylong or evening retreat provides an opportunity for a shorter version of the Ignatian, silent retreat. A Retreat Master provides thematic talks rooted in the Spiritual Exercises of St. Ignatius. There is time for private prayer and quiet contemplation, and Mass is celebrated during the retreat. Bellarmine offers 12-Step retreats for those in recovery and for their friends and family, known as "Bill W" retreats. These retreats invite those who are working the 12-Steps to continue their journey in company with others. Retreatants must be sober for 30 days to attend this retreat. A Retreat Master leads the retreat and prepares thematic talks rooted in the Spiritual Exercises of St. Ignatius and the 12-Step Program. The retreat offers a unique time away with optional opportunities for a 12-Step meeting, confession, Mass, consultation with a spiritual director, and group prayer experiences. Recovery Retreats end after the 11:30 am lunch. A recent retreatant, Tony, says about the Bill W Retreat, "For 20 years, it has been a major part of my sobriety." Twice each summer, Bellarmine offers five to eight days of stillness and prayer during a silent individually directed retreat. Paired with a spiritual director highly experienced in facilitating the Spiritual Exercises of St. Ignatius Loyola, retreatants embark on a prayer journey to help them focus on God’s activity stirring in the depths of their hearts. Each person’s retreat follows a unique path with Christ. 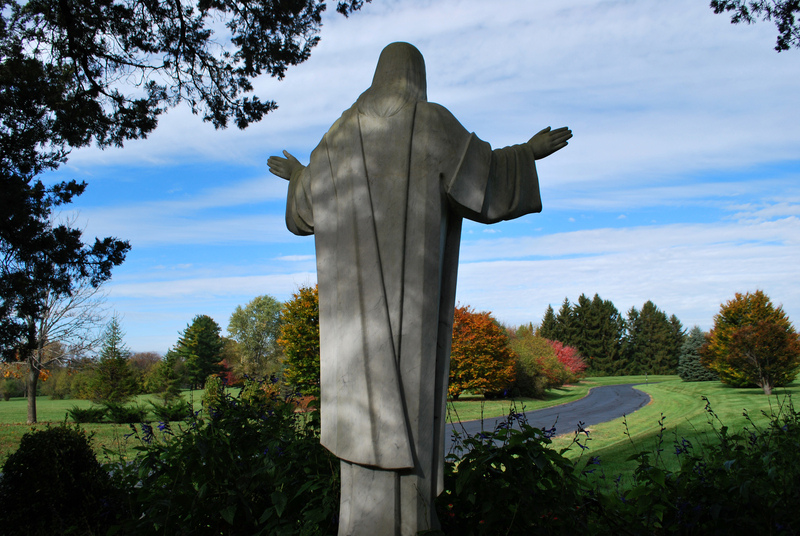 The retreat includes daily celebration of the Eucharist, daily one-on-one meetings with a spiritual director, and personal time to rest, pray, and reflect in the sacred spaces and beautiful grounds of Bellarmine. Bellarmine offers a day-long retreat for men and women (and their adult family members) to pray and reflect on their military experiences in a safe environment. The “Coming Home” Retreat offers a reflection on the transitions to and from military life. You’ll spend a day away with others who understand what you have experienced. This retreat is for all interested individuals, regardless of their current faith practices. The retreat offers prayer experiences and opportunities to dialogue with others. Private retreats invite one to experience time alone with God amidst the prayerful silence for a day or overnight stay. We can arrange for private retreatants to meet with a confessor or spiritual director if desired and schedules permit. The availability of private retreats is limited. If you would like to request a private retreat please use the submission form on our private retreat page.